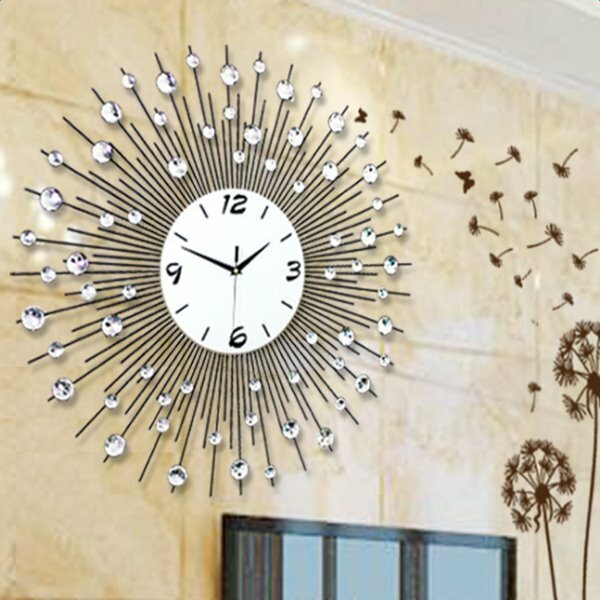 Simple style is performed by the combination of round dial decorated by diamond and iron. 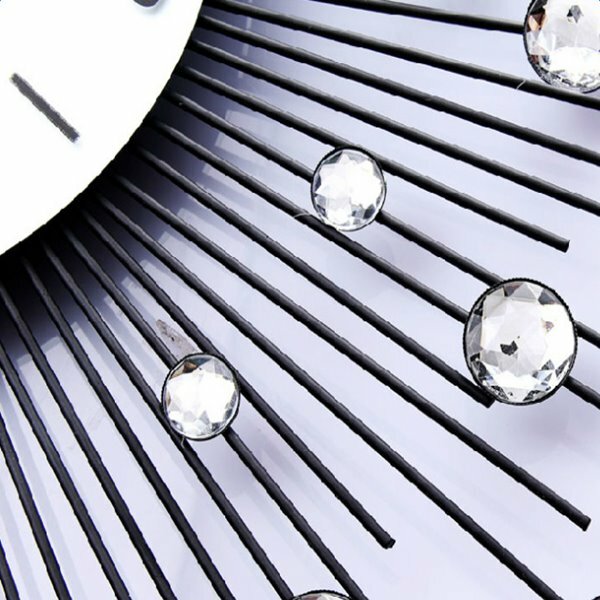 The iron and diamond materials create elegant quality. 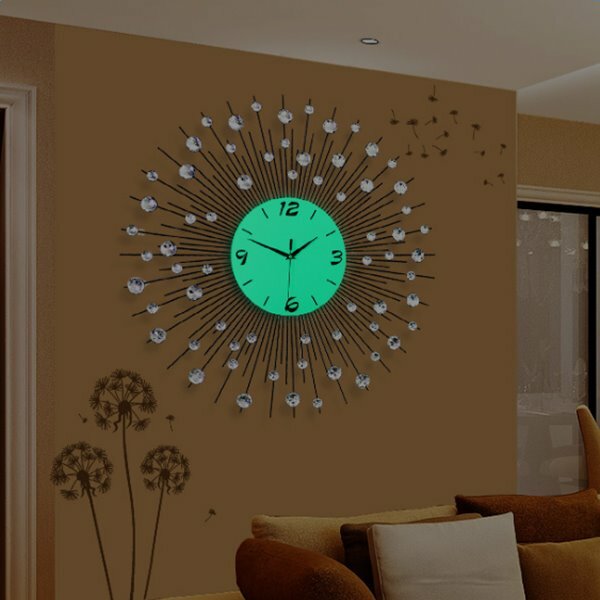 This wall clock is extremely mute, so you do not need to worry about sleep. 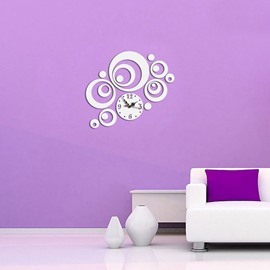 Providing products with low cost and high performance is the tenet on Beddinginn. 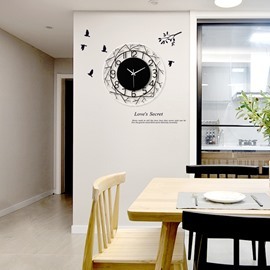 · Applicable Area: Smooth Wall of Bedrooms, Living Rooms, Dining Rooms and so on. · Choose the trace-less nail place. 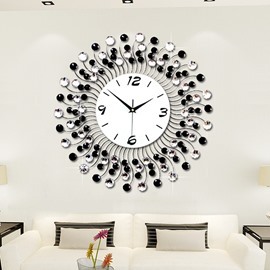 · Hang the wall clock into the nail. 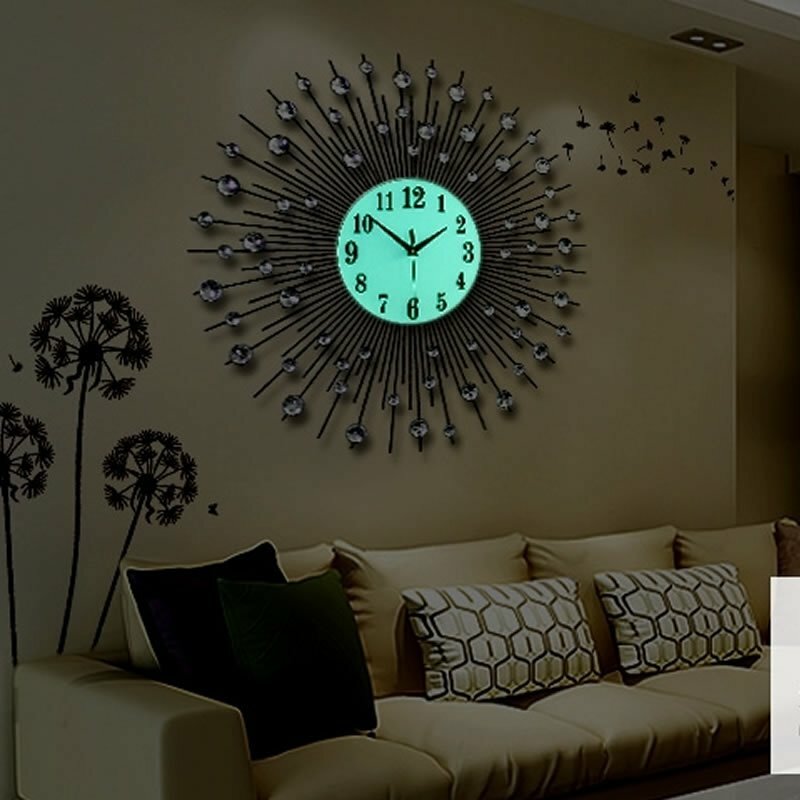 · The battery is installed on the back, and the clock will work on. · Be careful in the process of installation. · In order to extend life span, cheap carbon battery should be installed. 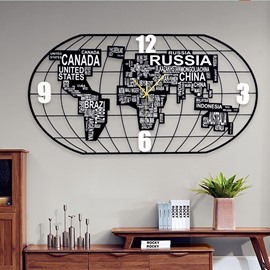 Looks great on my living room wall. Have received many compliments. It is what I expected. Arrived in good condition with nothing missing or broken. Would recommend. Quiet! Arrive beautifully - no nicks or breaks. 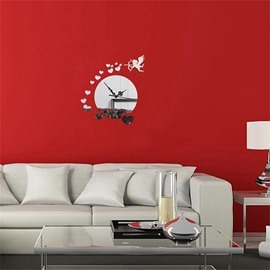 Quiet running clock, beautiful glistening wall piece. 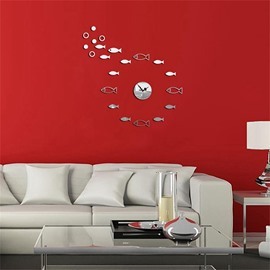 My living room is a cross between romantic and contemporary - and this fit the bill perfectly!! 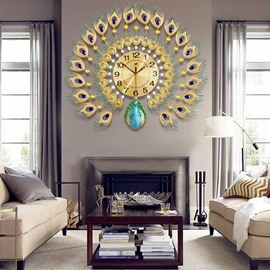 Absolutely beautiful clock (Lulu Decor Decorative Crystal Wall Clock). Looks much more expensive than it was. It came well-packed and with extra set of hands, which is great.